Remember, it would be inappropriate to watch television wearing anything less than your Sunday best. 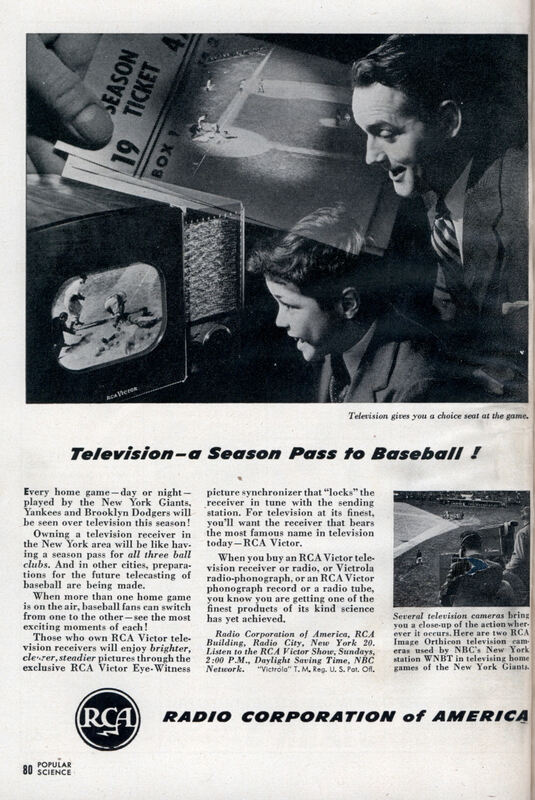 Television – a Season Pass to Baseball! Every home game â€”day or night â€” played by the New York Giants, Yankees and Brooklyn Dodgers will be seen over television this season! Owning a television receiver in the New York area will be like having a season pass for all three ball clubs. And in other cities, preparations for the future telecasting of baseball are being made. When more than one home game is on the air, baseball fans can switch from one to the other â€”see the most exciting moments of each! Those who own RCA Victor television receivers will enjoy brighter, clearer, steadier pictures through the exclusive RCA Victor Eye-Witness picture synchronizer that “locks” the receiver in tune with the sending station. For television at its finest, you’ll want the receiver that bears the most famous name in television today â€”RCA Victor. 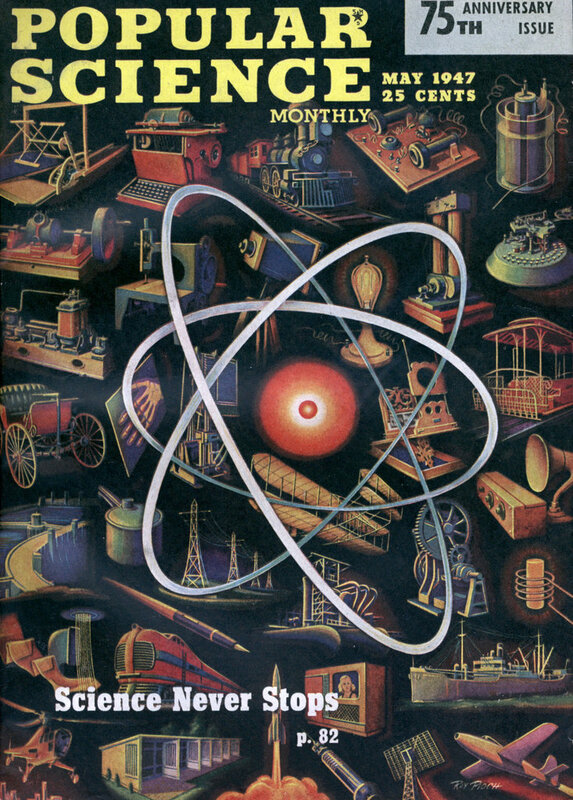 When you buy an RCA Victor television receiver or radio, or Victrola radio-phonograph, or an RCA Victor phonograph record or a radio tube, you know you are getting one of the finest products of its kind science has yet achieved. Radio Corporation of America, RCA Building, Radio City, New York 20. Listen to the RCA Victor Show, Sundays, 2:00 P.M., Daylight Saving Time, NBC Network. “Victrola” T. M. Reg. U. S. Pat. Off.